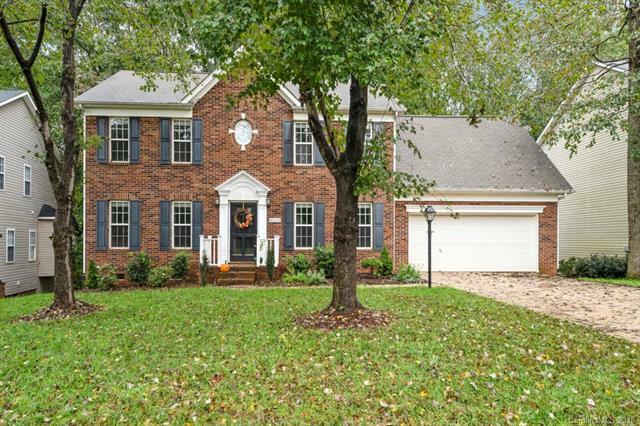 Pristine home in cul-de-sac in the highly desirable Wynfield Forest community. Great layout with spacious rooms. Hardwoods throughout most of the main level. Open kitchen with lots of natural light featuring stainless steel appliances, granite counter tops in kitchen, newer carpet, new landscaping & interior paint. Master bathroom has soaking tub + shower, dual vanities and vaulted ceilings. 4th bedroom can also be a bonus/media room. Oversized deck overlooks natural private tree canopy. Direct access path to neighborhood amenities (basketball, tennis, clubhouse, playground and pool). Convenient to I-77/485, shops, restaurants, Birkdale village, easy commute to uptown and the airport. Offered by Pridemore Properties North Llc. Copyright 2019 Carolina Multiple Listing Services. All rights reserved.